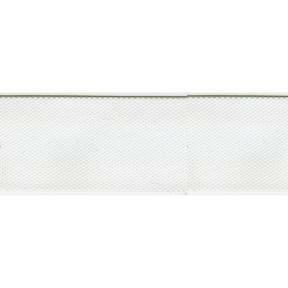 1" TopGun™ White Double Fold Binding made from polyester fabric for finishing projects. This material is impregnated with an acrylic coating which makes it the ultimate in marine cover fabrics. Long lasting colour, high strength and breathability. Other features of this product are stain, mildew, abrasian, & ultraviolet resistance. The coating of TopGun™ will not peel, chip, or crack even at temperatures as low as 0 degrees F.